It took Reliance Infrastructure Company led by Anil Ambani eight years and Rs 4,321 crore to build the Mumbai Metro train this iswhat they have delivered. While travelling from Ghatkopar to Asalpha almost all the compartment of the Metro train were leaking heavily from top and it looked like there was no roof cover on the top. @inaegshk -- One thing that Mumbai #Metro has which Bangalore Metro doesn’t? 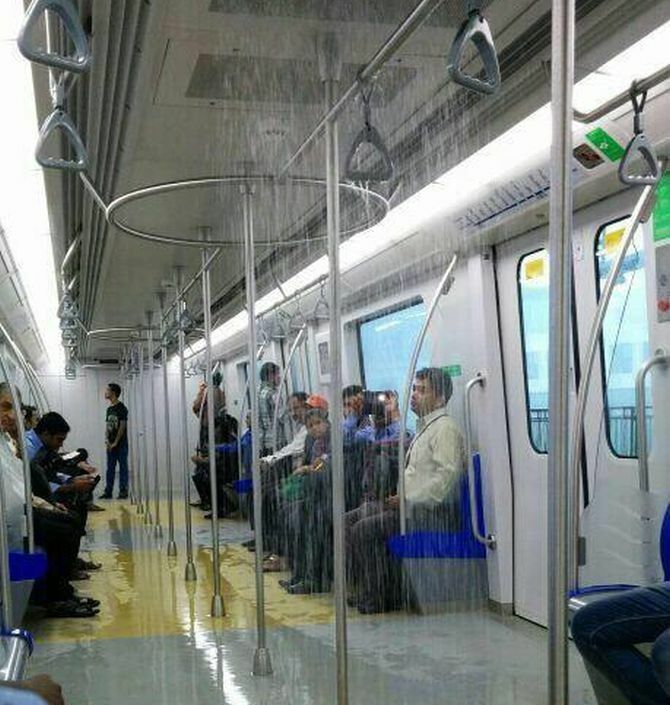 A: Showers within the train.